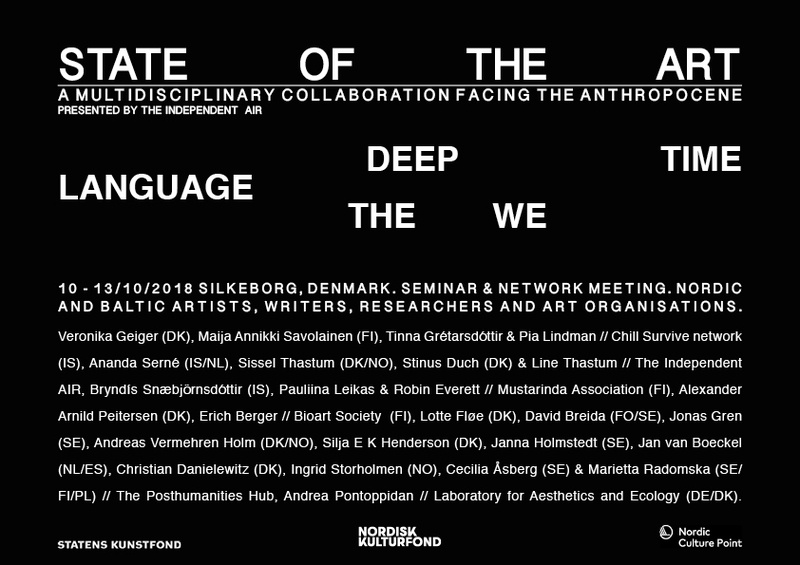 Nordic and Baltic artists, writers, researchers and art organisations are coming together in Silkeborg to discuss the role of art and multidisciplinary collaborations in the light of the current global ecological crises. The themes of this years seminar will be: Deep time, Language and the We. The program of the seminar is created in collaboration with Erich Berger/Bioart Society, Marietta Radomska/The Posthumanities Hub and Andrea Pontoppidan/Laboratory for Aesthetics and Ecology.